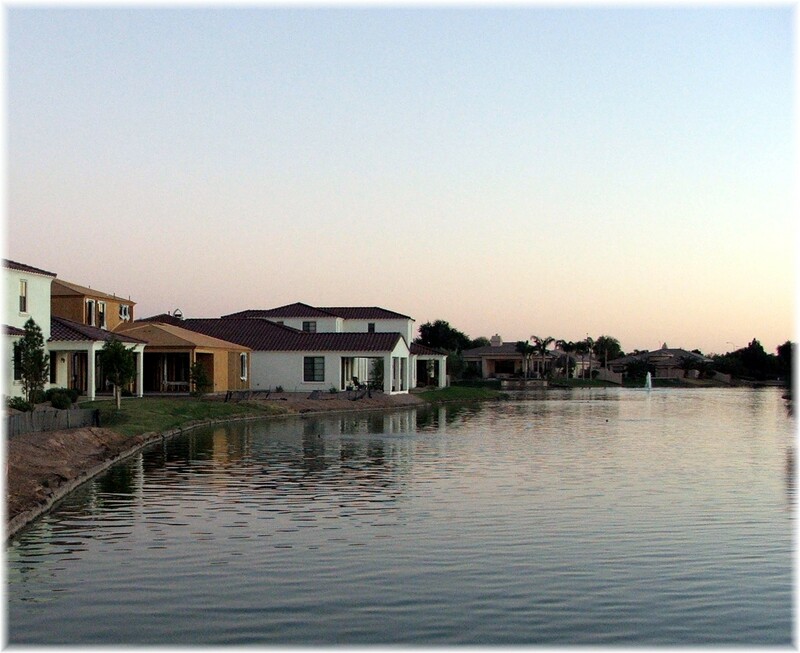 The Villas in Ocotillo originally opened in 2006 and within the first year waterfront properties were selling for over $1 million. The builder was Kitchell Custom Homes and the luxury interiors included Cantera fireplaces, Viking appliances, wood beamed ceilings, alder doors and 2×6 construction. Some floor plans even included basements. Of the 49 homesites, the original builder sold 19 before the remaining lots went into bankruptcy. What happened next… read on. At the end of 2010, Woodside Homes acquired the remaining 30 lots and began selling in Dec. 2011. 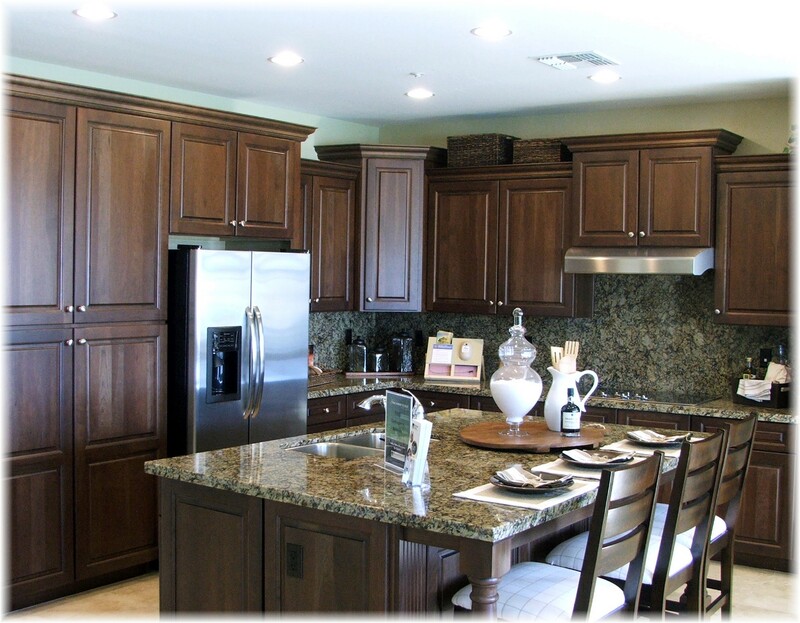 They offer granite counter tops, GE appliances, 2×6 construction, Energy Star and Environment for Living ratings. While the construction footprints are the same, the Woodside floor plans are different from the original Kitchell floor plans. The current prices are 40 – 50% of the original development prices of 2006 and 2007. 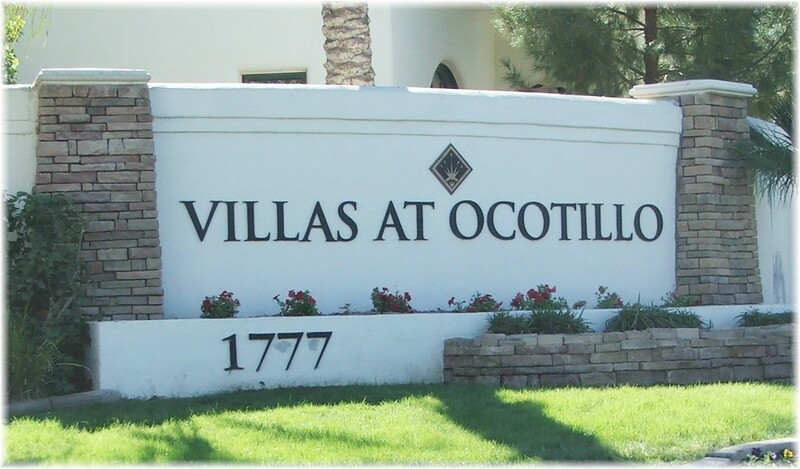 The homes in Villas at Ocotillo are separate single family homes; however the zoning is designated as condominium. 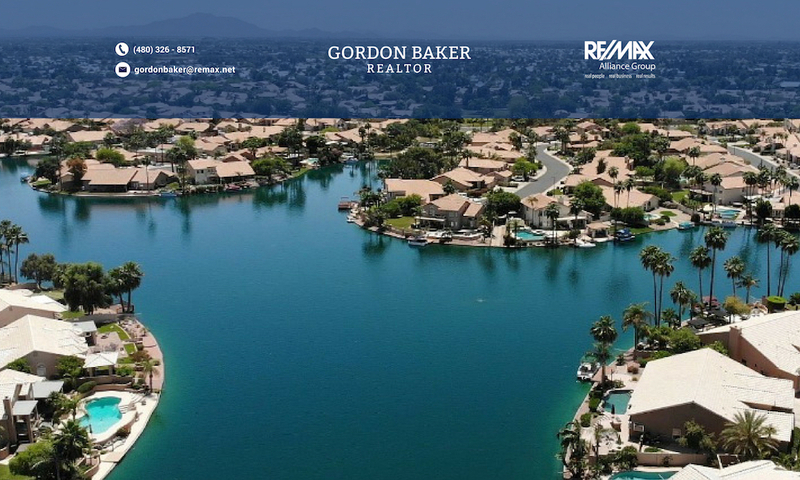 If you’d like to receive listings of Villas at Ocotillo or any other properties, click on receive waterfronthomes via e-mail. Be specific on the type of property and area if necessary. Located in south Chandler, Villas at Ocotillo is only 1/4 mile from Intel on Dobson Rd, and 1/5 miles from the Snedigar Sportsplex on Alma School Rd. The corresponding schools are Hamilton High School, Bogle Jr. High and Basha Elementary School. Mandatory relaxation in this exquisite WATERFRONT home in Villas at Ocotillo. large bedrooms, each with their own spacious bathroom and walk-in closet, provide maximum privacy for family and guests. Master and 2nd bedroom are on the first floor, and the upstairs bedroom looks out over a peaceful, serene water vista. Meal prep's a pleasure in this finely detailed kitchen: granite counters, stainless appliances, gas oven/stove, tall spacious cabinets and pantry storage. Dining is a 5-star event on the water, and the wrap-around patio is everyone's favorite place to hang out. No-maintenance property in a small (less than 50 homes) gated community with private heated pool and spa. Great location with easy highway access to routes 10, 202 and 101. Brought to you by Gordon Baker, Remax Alliance Group. Call me today at 480-326-8571, or visit my website at www.myhomeinaz.com/! Next PostNext Are addresses in the Phoenix area really that helpful?